Next week is Masters week, and Hilton Honors is offering a once in a lifetime Sunday at the Masters package. For those who can’t attend the Masters, Hilton offers great 18-hole golf resorts and hotels around the world. La Quinta Resort & Club, A Waldorf Astoria Resort (La Quinta, California): Awarded North America’s Golf Resort of the Year by the International Association of Golf Tour Operators in 2011, La Quinta Resort & Club is the ideal destination for a golf getaway with a total of five diverse golf course options. 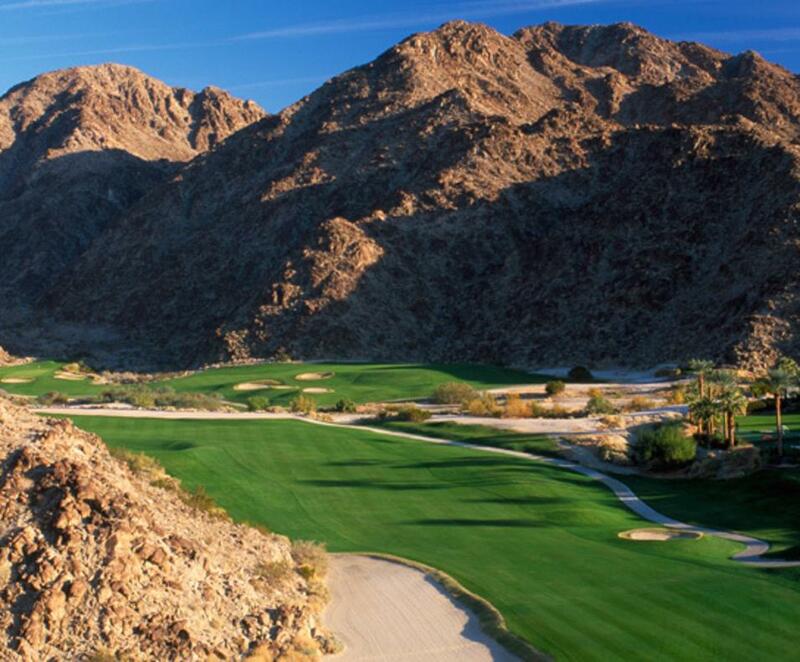 Walk in the footsteps of golf legends on the Pete Dye Stadium Course at PGA West and on the challenging Jack Nicklaus Tournament Course. Or tee off with expertly organized group golf packages tailored to meet the needs of everyone in the gang. After your game, head to the can’t-miss Ernie’s Bar & Grill to refuel, or recharge at Spa La Quinta for a post-round treatment. Boulders Resort & Spa, Curio Collection by Hilton (Scottsdale, Arizona): As one of the finest golf resorts in the world, Boulders Resort & Spa was named the 2019 North America Golf Destination of the Year by The Global Golf Tourism Association, awarded “Best Golf Resort in the Southwest” by Golf Digest and ranked a Gold Medal award winner by Golf magazine. 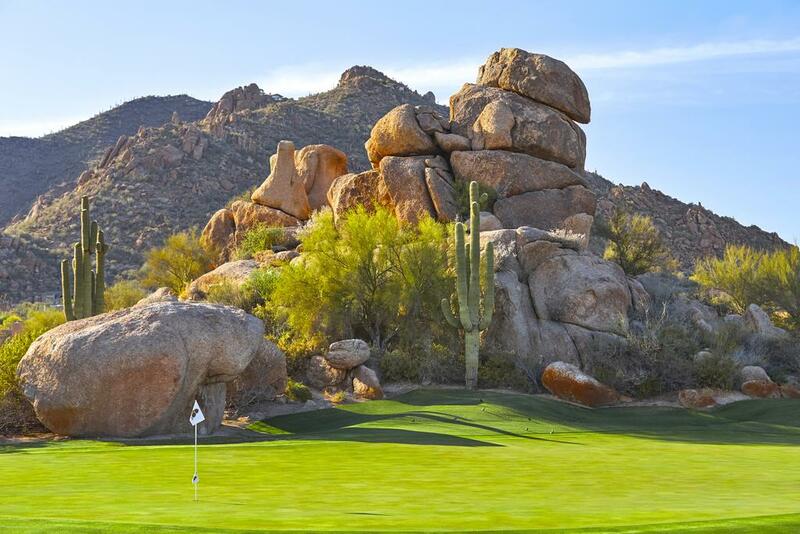 The two championship golf courses were designed by Jay Morrish and are known for their rugged beauty and breathtaking desert panoramas. A perfect destination for an active getaway, the 1,300-acre grounds also offer an array of outdoor adventures such as desert hiking, mountain biking, rock climbing clinics, tennis, hot air ballooning, horseback riding, jeep tours, stargazing, and much more. 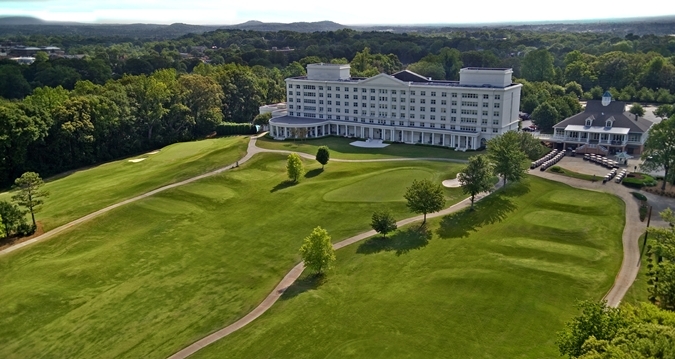 Hilton Atlanta/Marietta Hotel & Conference Center (Marietta, Georgia): Hilton Atlanta/Marietta Hotel & Conference Center is located just outside Atlanta and sits atop a hill with lush greens as far as the eye can see. City Club Marietta – the onsite, public golf course – is a challenging 18-hole, Par-71 championship course that boasts panoramic views from nearly every hole, with a magnificent tree-lined background. Golfers of all skill levels can practice on the chipping and putting greens and take advantage of golf lessons from skilled instructors. After a day on the greens, the group can explore shops, entertainment and dining at the nearby historic Marietta Square, or head to downtown Atlanta to enjoy a night on the town. The hotel is also located near hiking trails at Kennesaw Mountain, fishing and boating at Lake Allatoona, and is just 30 minutes from Mercedes-Benz Stadium, home to the Atlanta Falcons and Atlanta United FC. 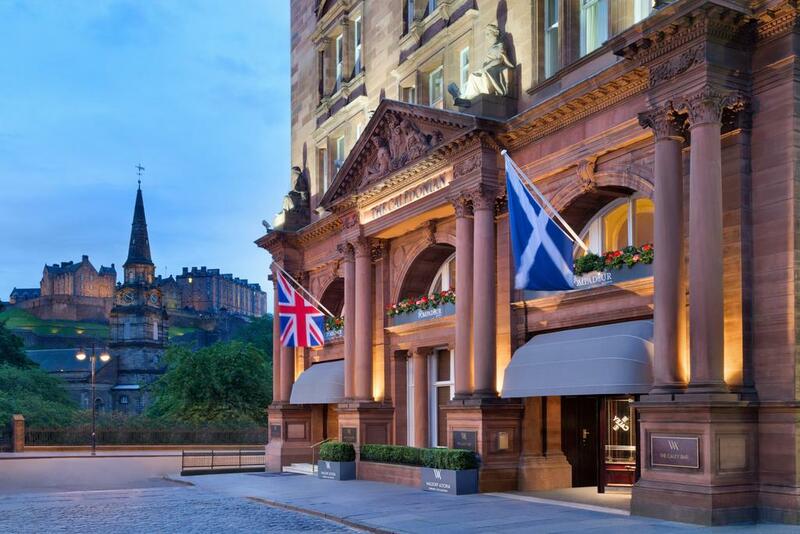 Waldorf Astoria Edinburgh – The Caledonian (United Kingdom): Conveniently set within an hour drive of more than 100 courses, Waldorf Astoria Edinburgh – The Caledonian is the perfect base to discover and participate in Scotland’s finest golf courses and explore the city. History buffs and golf fanatics alike can enjoy a round at The Old Course at St. Andrews, which is known as the “Home of Golf” and where the game was first played 600 years ago. When the group is ready to go beyond the greens, Edinburgh Castle, the Royal Mile, and Old Town, a UNESCO World Heritage Site, are all within walking distance of the resort. Whisky aficionados will also appreciate the hotel’s proximity to some of the world’s finest distilleries which are open for tastings – try Glenkinshie or Tullibardine. You can also use Hilton Honors Points to book a Tee & Whisky Experience, which includes a round of golf at the championship Gullane Golf Course, lunch, and traditional whisky tasting experience back at the hotel. Ready to golf? 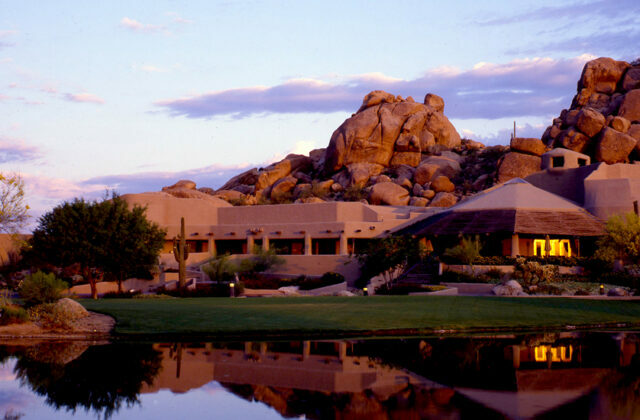 Check out Hilton’s golf resorts from around the world.